Taylor Design Group, Inc. (TDG) formed in 2001 as a full-service design firm specializing in comprehensive Planning and Landscape Architectural design for clients in both the private and public sectors throughout New Jersey. The firm provides creative design and planning solutions and the highest level of professional service to our clients. We are currently hiring a Planner and Landscape Architect. Contact STaylor@TDGplanning.com with resume and design portfolio. Ms. Taylor is a professional planner who has been working in both the public and private sectors for over 25 years. Within the firm, Ms. Taylor concentrates on land planning, redevelopment planning, infill development, ordinance preparation, design guidelines, and form based codes. She is experienced in the implementation of place based architecture and community building. Ms. Taylor represents the firm in Delanco, Medford, and Moorestown. Ms. Taylor has won planning awards from the New Jersey Planning Officials for Ocean City’s Form and Character Study and the Borough of Avalon Master Plan. Ms. Taylor also provides planning testimony for private clients and specializes in Use Variance applications. She enjoys an excellent reputation and provides sound planning solutions to her clients. Prior to continuing in the private sector with Taylor Design Group, Inc., Ms. Taylor was a sole proprietor, and was employed by Menlo Engineering Associates, Heyer Gruel & Associates, and Greenberg Farrow Architecture. Her earliest experience was in the public sector as Zoning Officer and Community Development Director for Deptford and Eastampton Townships. Ms. Taylor received a BS in Environmental Planning from Rutgers University in 1990. She volunteers as a speaker for the New Jersey Planning Officials. Scott D. Taylor, LLA, AICP, PP, LEEP AP, is Vice President of the firm, and has over 25 years in practice as a Professional Planner and Landscape Architect with a special emphasis in Municipal and Board Consulting, and Park Design. Mr. Taylor has represented dozens of Municipalities as Planner & Landscape Architect, and has designed over 150 parks throughout the region. Scott has published professional articles, and has lectured on park design at the NJ Recreation and Park Association’s Annual Conference. Mr. Taylor has received numerous awards for Parks and Streetscape projects from the American Society of Landscape Architects- NJ Chapter, and the NJ Recreation & Park Association among others. Prior to co-founding Taylor Design Group, Inc. in 2001, Mr. Taylor was the Director of Municipal Services for Melillo & Bauer Associates, of Manasquan NJ. 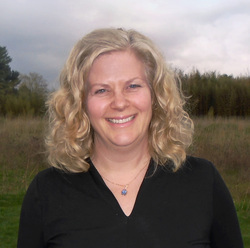 Ms. Cieslewicz is a Senior Landscape Architect and has over 20 years varied experience as a Landscape Architect. She specializes in municipal land development review, site design and land planning. Most recently, Ms. Cieslewicz was principal of her own private practice, Amy Bridges Cieslewicz, LLC, where she has served as the Planning Board consultant for Moorestown Township, New Jersey for over 13 years. Ms. Cieslewicz was Principal Landscape Architect and Assistant Section Chief for the Montgomery County Planning Commission from 1987-1992; prior to that she worked for several private practices in the land development field. She holds a Master of Landscape Architecture from Harvard University's Graduate School of Design and is active in community and environmental advocacy. Mr. Lennon is a Senior Landscape Architect with over 20 years of experience as a Landscape Architect. His expertise includes design and construction administration of public parks, retail development, and multi-family housing. Prior to joining TDG, Mr. Lennon was the Director of Landscape Architecture Services at spg3 and Cassway/Albert Ltd. He was responsible for the design of both urban and rural parks and worked closely with staff Architects on all phases of development for a variety of project types including retail, entertainment, hospitality and housing. Additional previous experience with Kelly/Varnell/Virgona includes the design of residential estates and gardens as well as public parks. Mr. Romano is a Senior Landscape Architect with 13 years of experience as a Landscape Architect. His expertise includes site planning and design development, digital presentation graphics, contract documents and construction administration. Prior to joining TDG, Mr. Romano was a Project Manager at MKW + Associates. He worked closely with clients, contractors, and architectural project managers and was involved in the design development of various projects including urban parks, waterfronts, playgrounds, rooftops, brownfield restorations, and sports fields. Mr. Romano received a B.S. in Landscape Architecture from Rutgers University in 2001 and was a recipient of the NJASLA Student Merit Award in May of 2001. Simon Bernnard has a Bachelor of Arts in Environmental Studies from the State University of New York at Plattsburgh where he concentrated in environmental planning and geospatial analysis. He is currently working part-time at Taylor Design Group while he pursues his Masters in City and Regional Planning from the Edward J. Bloustein School of Planning and Public Policy at Rutgers University. Ms. Pasqua has been with TDG since 2004 after receiving a Bachelor of Fine Arts with honors from Rowan University. Her illustrations have been published in several issues of Rowan Today. Holly is responsible for human resources, invoicing, and accounts receivable. Ms. Blazer joined the TDG team in 2017 and provides office and administrative assistance with day to day operations. Courtney Blazer is a 2010 graduate from Stockton University, where she earned a Bachelor of Arts in Dance Performance. Courtney has also been a dance teacher since 2009.